Our complete range of green coffee covers more than two hundred varieties (robusta and arabica) from almost all coffee producing countries in the world: Colombia, Guatemala, Brazil, Ethiopia, Kenya, Tanzania, Indonesia, India and Australia, to name a few. 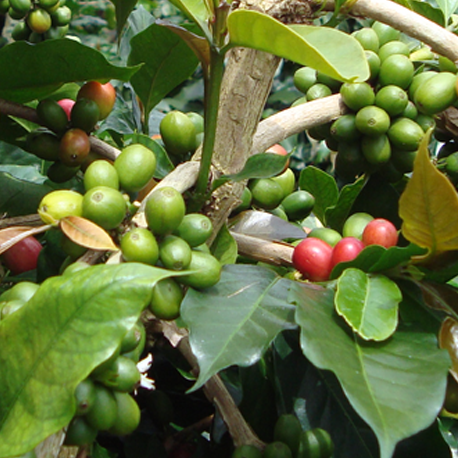 Our primary focus during buying and selling concerns sustainable coffee in numerous varieties. 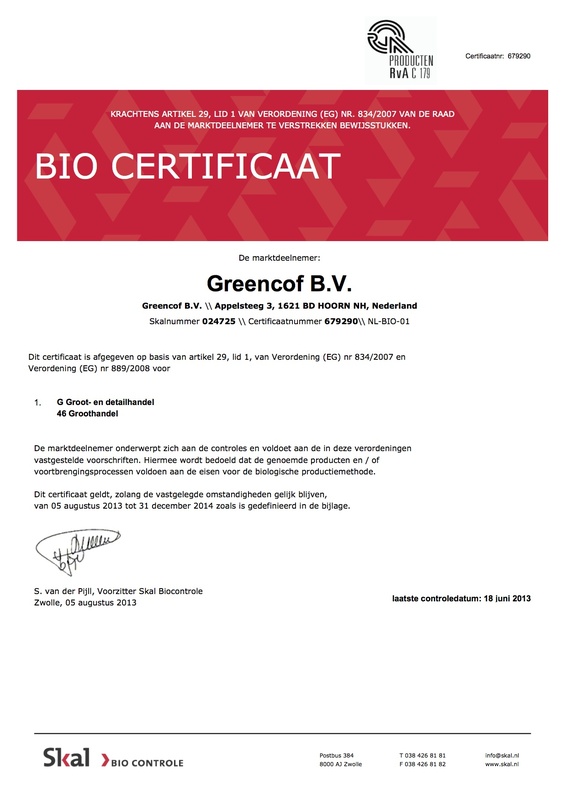 Greencof is a FLO (in the Netherlands known as Max Havelaar) and Skal certified company. 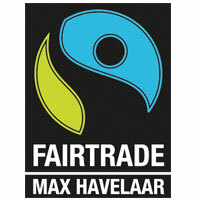 This means that we are allowed to import and supply fairtrade and organic coffee. 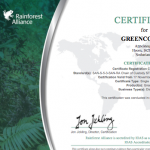 Also, we are registered with Rainforest Alliance and UTZ, which means we can supply according to the standard of these organisations. 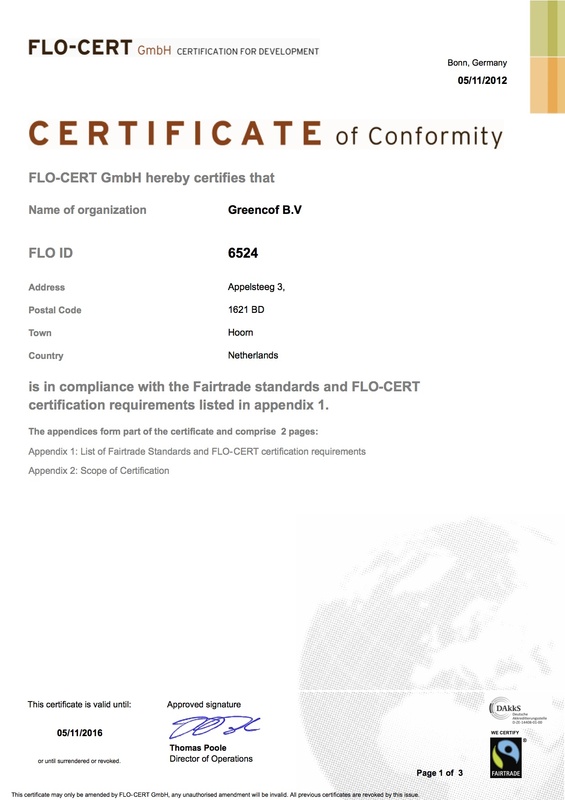 Also, we are UTZ certified which means we can supply according to the standard of this organisation. In addition we source coffee from Rainforest Alliance Certified™ farms. Our complete range of green unroasted coffee covers more than two hundred varieties.